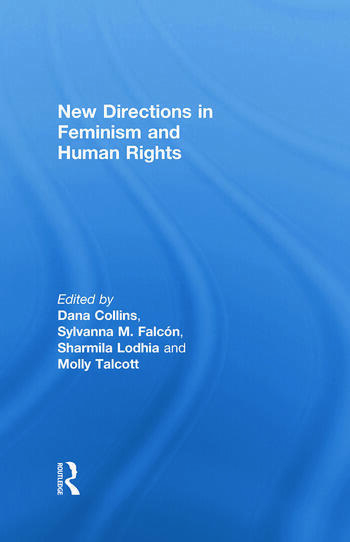 This book was published as a special issue of the International Feminist Journal of Politics. Dana Collins is an assistant professor of sociology at California State University, Fullerton. Her research in the Philippines follows urban renewal, sexual labour and the emergence of gay urban spaces, which is published in two special issues of Gender & Society (2005 and 2009) and one of Tourist Studies (2007). Her current research explores militarization, sexual violence and representation in the Congo. Sylvanna M. Falcón is an assistant professor of Latin American and Latino Studies at the University of California, Santa Cruz. Her work has been published in Gender & Society, Societies Without Borders, and Social Justice. She serves on the editorial collective of Societies Without Borders: Human Rights and the Social Sciences. Sharmila Lodhia is an assistant professor of Women’s and Gender Studies at Santa Clara University. Her research examines legal responses to violence against Indian women through a transnational lens. Her articles have been published in Meridians: feminism, race, transnationalism, Women’s Studies Quarterly and Columbia Journal of Gender and Law. She previously worked as a civil rights attorney for women. Molly Talcott is an assistant professor in Sociology and Latin American Studies at California State University, Los Angeles and an interdisciplinary teacher and scholar-activist who researches race, gender, labor and human rights in the Americas. She serves on the editorial board of Gender & Society and on the editorial collective of Societies Without Borders: Human Rights and the Social Sciences.